Matthew Burgoyne is an associate and head of the fintech practice group, and Ryan Franzen is partner for securities and fintech, at McLeod Law in Calgary, Alberta. Unlike in the United States, Canada’s securities laws fall into the domain of the provinces. Arguably no area of provincial law has seen more activity as a result of the crypto boom than securities law, mainly due to the advent of initial coin offerings (ICOs). The Staff Notice goes on to confirm that Canada, through the seminal Pacific Coast Coin Exchange v. Ontario Securities Commission decision, has adopted the United States’ Howey Test in determining whether a particular investment constitutes an investment contract and therefore a security. Although the authors of the Staff Notice admit that “Every ICO/ITO is unique and must be assessed on its own characteristics,” we believe provincial securities regulators in Canada wouldn’t take a radically different approach than the U.S. Securities Exchange Commission in analyzing whether tokens and coins are securities. We believe the provincial securities regulators in Canada would be as equally inquisitive and systematic as the SEC has reportedly been in its recent analysis of Simple Agreement for Future Tokens (SAFT) contract based coin and token offerings. Indeed there is evidence that similar investigations have begun in Canada. An issuer selling tokens in an ICO to Canadians would certainly have its work cut out for it in attempting to argue it was in fact selling utilities, commodities or licenses to use some sort of yet-to-be developed platform. There are a number of examples in Canadian case law where issuers were attempting to sell “utilities” or something similar to modern day tokens and coins, where the court simply didn’t buy the argument. Take for example the 2016 Ontario Securities Commission (“OSC”) decision of Furtak. The issuers in this case were selling licenses to use relatively complex financial software agreements which granted users the right to use the financial software to trade futures contracts. However, as part of the arrangement, the “users” would then contract with an affiliate of the issuer to operate the software. Users did not share in any profits or losses as a result of the use of the trading software but received certain trade report fees. In effect, users paid a licensing fee in expectation of generating a return through no effort of their own. The issue for the securities regulators was, were the licenses investment contracts or something else, such as a set of contracts that created a business? The OSC ultimately found that the licenses were investment contracts. The nature of the business enterprise can vary to a large extent. As the OSC noted, investment contracts have been found in Canadian and U.S. cases in arrangements as diverse as the use of solar panels, in proprietary software that would generate profits based on volatility, in fractional interests in death benefits of life insurance policies, in dental services sold by the promoter under sales agency agreements, in arrangements to share in the ownership and revenue from blood alcohol testing machines in pubs and even in payphones (remember those?). The fact is, existing Canadian securities laws would probably already categorize most ICO tokens and coins as investment contracts, no matter how novel and supposedly unique they are. Some would argue the courts have seen it all before. Provincial regulators in Canada have at least shown a willingness to work with crypto entrepreneurs, but to date the only published examples we have of where this cooperation occurred was when those entrepreneurs accepted the fact that their coins were securities and proceeded to move forward with the regulators on that basis. Even then the relief granted from securities laws was limited at best. Around the time of the publication of the OSC Staff Notice, a number of provincial securities regulators granted limited relief from dealer registration requirements under securities laws where coins issued in an ICO were offered as securities. For example, in August 2017, the responsible-investing firm Impak Finance Inc. received limited relief from certain registration requirements in conjunction with its ICO by the Autorité des marchés financiers in Quebec. Two months later, the OSC granted similar relief in conjunction with an ICO by Tokenfunder Inc., a company established to, among other things, facilitate the issuance of third party coins and tokens. In our opinion, the two aforementioned examples demonstrate that where coins are issued in an ICO not only might they be treated as securities, but if exemptive relief from some securities laws is granted by a securities regulator, the relief won’t be dramatic or earth shattering. The parameters that have accompanied the exemptive relief in these cases appear excessively obstructive to some in the crypto community, and may simply serve to highlight the scope of the jurisdiction of the securities regulators and the difficulties which arise given the application of securities laws. For example, in both cases, each purchaser in the ICO is prohibited from purchasing more than $2,500 worth of coins (unless detailed know-your-client and suitability reviews on the purchaser are conducted) and Impak and Tokenfunder are restricted from listing and trading their coins on any cryptocurrency exchange unless prior approval is obtained from their respective provincial securities regulators. Further, the coins in each ICO are subject to resale restrictions under securities law which impose a fairly stringent hold period where further trading and transfer of the coins are prohibited indefinitely (unless certain rigid criteria are met). This may be frustrating to some as certain coins and tokens need to be freely traded on the blockchain by many different participants in order to fulfill their intended purpose. Despite the exemptive relief from dealer registration requirements provided by the securities regulators in these decisions, issuers should bear in mind that under applicable Canadian securities laws a person is only required to register as a dealer if they are engaging in or holding themselves out as engaging in the business of dealing in securities. Consequently, if an issuer is not “in the business”, then registration is not required, nor would exemptive relief from dealer registration requirements be necessary. Simply because a corporation has issued shares in an initial public offering (IPO) to raise capital to fund its business, and those shares are listed on a stock exchange, does not mean the corporation is in the business of dealing in securities. By extension, simply because a coin is issued in an ICO and subsequently traded on the blockchain does not necessarily mean the issuer of the coin is in the business of dealing in securities. In fact, unlike shares of a corporation, at the time a coin is traded on the blockchain, it may have its intended utility and essentially lost any security characteristic it initially had. All told, ICO promoters should exercise caution in Canada when attempting to market a utility token without consideration of securities laws. Further, if you’ve come to accept that your token is an investment contract, then based on these decisions, expect to be treated like any other issuer of securities. The authors would like to acknowledge Amanpreet Sran for her research, contributions and assistance with this article. 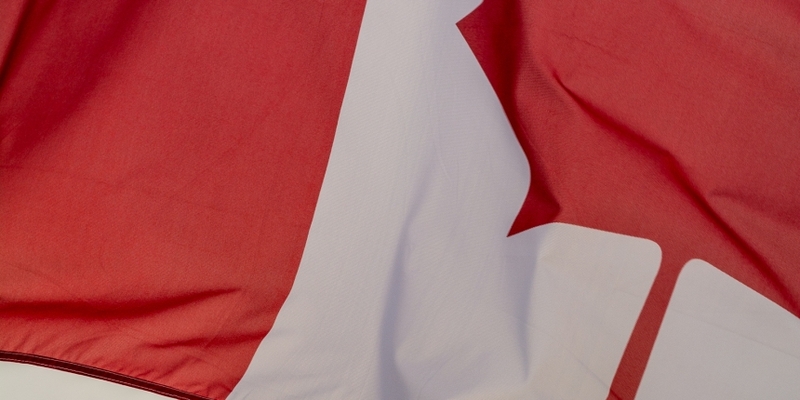 Canadian flag image via Shutterstock.